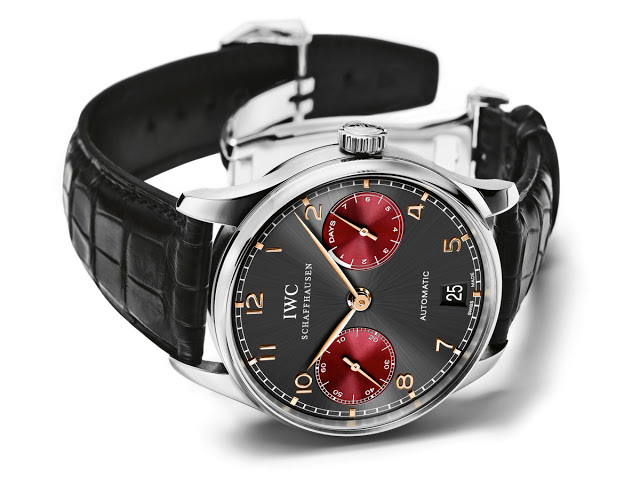 IWC has made it a habit of turning out numerous limited editions of its Big Pilot in various colours, most recently with the Big Pilot Perpetual in red gold. Perhaps too many editions have been produced. So for the upcoming Tribeca Film Festival IWC has created a unique Portuguese Automatic 7 Days with the same incomparable cal. 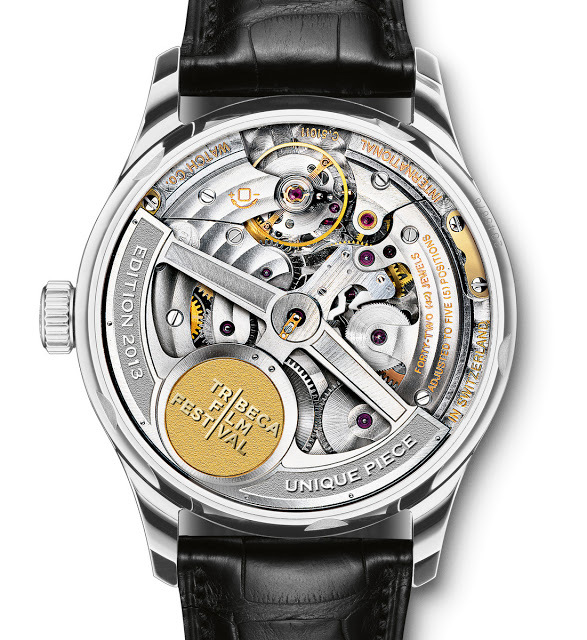 5000 movement as the Big Pilot, which will be auctioned at Antiquorum in New York on April 10. 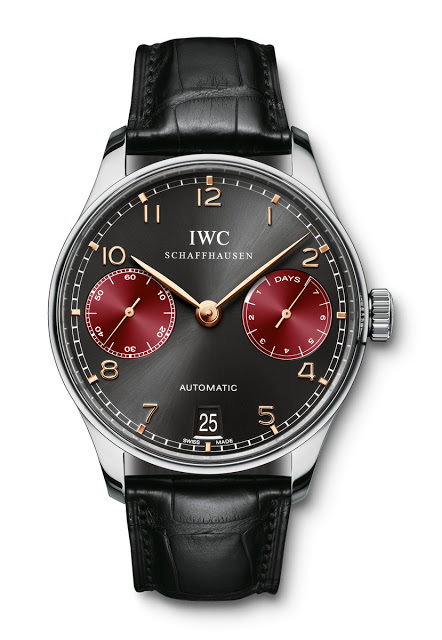 This platinum 7 Days has a slate dial with maroon sub-dials, and rose gold numerals. And the logo has a gold medallion with the logo of the Tribeca Film Festival. Platinum Portuguese 7 Days have only ever been made as limited editions; the metal is not available in the regular collection. Additionally the Portuguese 7 Days is not as common as the Big Pilot in limited edition form.